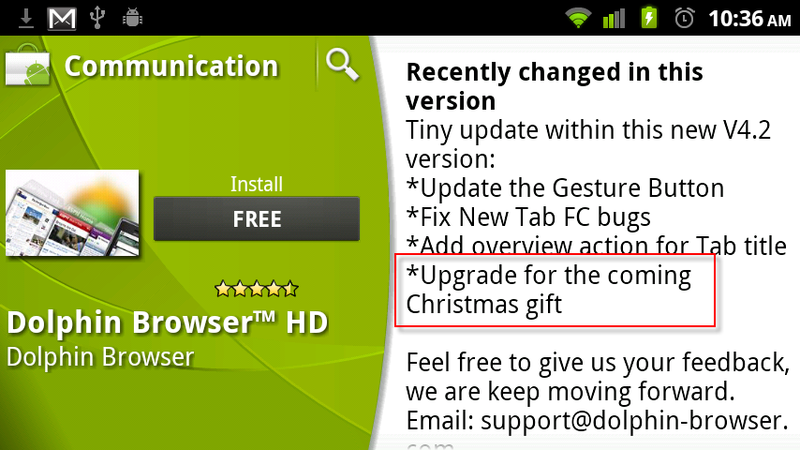 Dolphin Browser HD Updated “for the coming Christmas gift”? Huh? 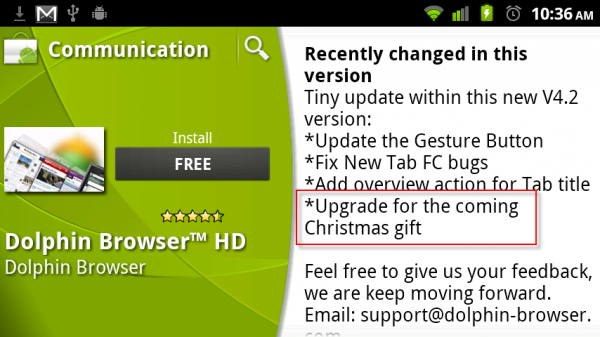 The “coming Christmas gift”? In the newest update to Dolphin HD that came out this morning, those exact words are found in the “Recently changed” items list and we demand to know what they mean! Are they talking about Gingerbread? The Nexus S? Something bigger and better? What! We’re digging for more, but in the mean time, feel free to drop your ideas in the comments below!